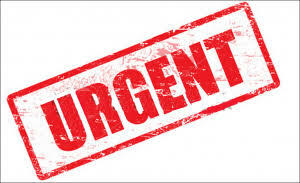 Home » Hospital • Nepal • Nepal Speaks • Om Hospital • Public Awareness • Uncategorized • Urgent Help » Extremely Urgent (Nepal) – Help Need (Read it ASAP) – Help Nepal – Justice to the Mother and her baby. Extremely Urgent (Nepal) – Help Need (Read it ASAP) – Help Nepal – Justice to the Mother and her baby. Justice to the Mother and her baby. Urgent help is required for one of my friend friends and please gather your friends from Chabahil and nearby premises to Om Hospital. Samir and Usman Ansari are the witnesses of this incident. Samir brother and his family are in immediate need of our support in providing justice to his family. Though Management board held an emergency meeting in order to clarify the ongoing issues about mistreatment by medicals involved, they still are afraid to accept their fault. At first, painkiller was given to the pregnant women. Later they announced they can’t save the baby. And again, they told they can’t save both Mother and the child. Sadly, both the mother and child (inside the womb died). Looking at the conditions and patient scenario, we, being an aware citizen and the long history of Om Hospital, Chabahil in similar cases, we need to join hand and provide justice to the victim. Thus, it is my request to the all around the Globe to circulate the message and especially people around the Om Hospital (from nearby areas), please reach to Om Hospital as earliest as possible and support the family. The more the mass, the louder the voice. The less the mass, the weaker the voice gets, the stronger the hospital management will become, the more chances of having other cases. Sadly, the mother and son (inside the womb) are dead. Please do not neglect this news. This just happened. So please come to OM Hospital, Chabahil right now. Hurry up!